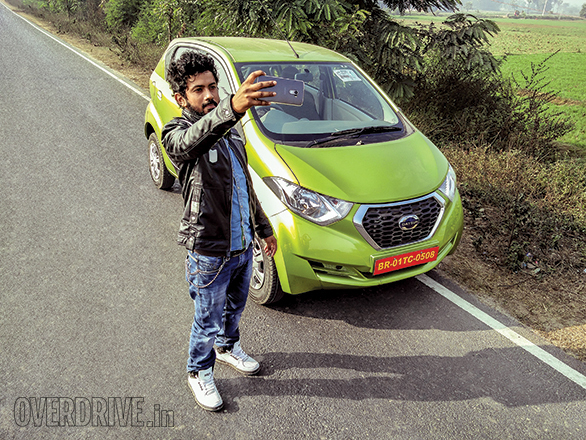 Our Datsun #GoThere feature focusses on the unique and special offerings belonging to the different parts of India. In our previous edition, we visited the Yoga Centre in Mumbai. This helped us understand the roots as well as the various practices and disciplines related to yoga. This was then followed by our trip to the diamond city, Surat, to learn about one of the most precious stones in the world, the diamond. It is here that we discovered the different manufacturing processes and the various qualities of the desired stone. For the third edition of the Season Three, we travelled all the way to Bihar to explore and know about the greatest mathematician and astronomer from India that the world has seen, Aryabhata. A lot has been said and written about the great scholar Aryabhata, but there are still no confirmations of the same. If the exact spelling of his name was Aryabhata or Aryabhatta is also not known. It is said that Aryabhata was born in 476-550 CE in Taregana which happens to be a small village located at close to 35km from Patna. We decided to start our exploration of the world of Aryabhata from this very place. 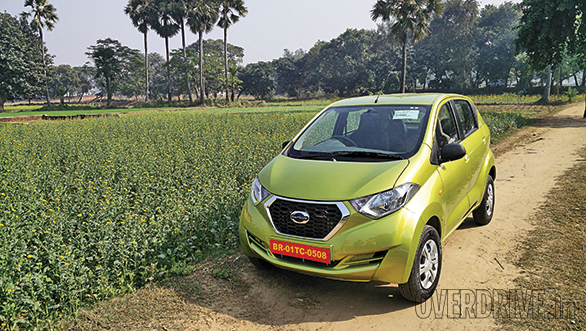 After being handed over our lime green Datsun redi-Go at the Patna Airport, we started our journey. Joining us on for this edition was our #GoThere contest winner Romy Ekka. A 23-year-old working professional from Patna, Romy has a keen interest in exploring new places. He was extremely excited with the intention of this travel expedition. Though Taregana is located close to Patna, the narrow lanes and traffic-clogged areas were time-consuming. We took close to two hours to reach Taregana. To add to that, there were large sections of unpaved road. However, our Datsun redi-Go didn't get bogged down by any of that. Even with all four occupants, it didn't feel sluggish to drive around. 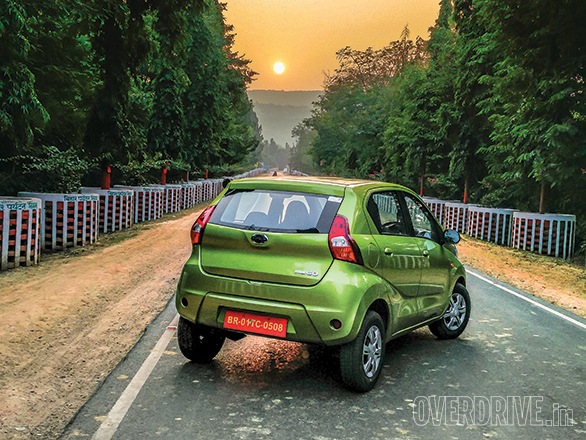 In fact, its compact dimensions were of great help while manoeuvring through traffic. 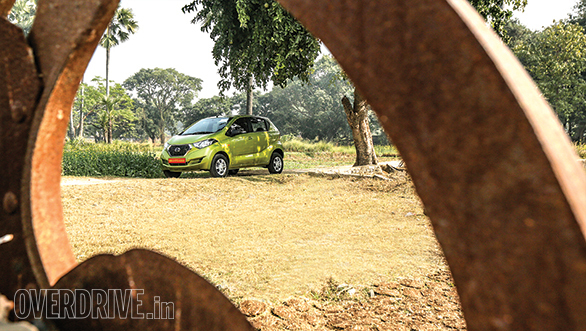 The tall ride with a ground clearance of 185mm was sufficient to drive over the rough sections. Aryabhata had set up an observatory in Taregana to study the movement of stars. In fact, the town gets its name Taregana from the Hindi words taare ginna meaning counting stars. Aryabhata established the heliocentric model that states that the sun is the centre of the solar system and the earth and other planets rotate around it. In 2009, Taregana was in news as it was tagged as the best place to witness solar eclipse by NASA. Unfortunately, a place of such historic importance has lost its relevance due to the complete negligence of the government agencies. People from nearby areas have encroached on the land and have illegally settled there with only a vague marking left of the afore mentioned astronomic centre of that era. The grand sight of one of the world's oldest technical universities in Nalanda is totally mesmerising. 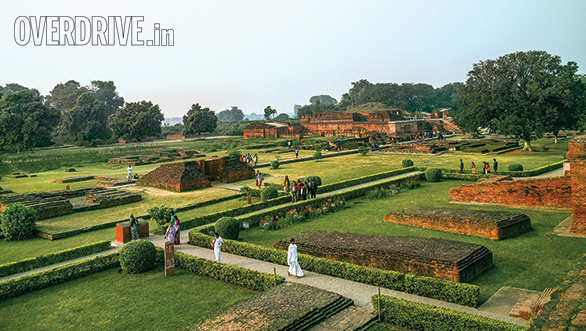 Our next stop was Nalanda that is located close to 95km from Patna. It is said that the Vedic learnings inspired the formation of the oldest technical universities  Taxila, Vikramashila and Nalanda Mahavihar. 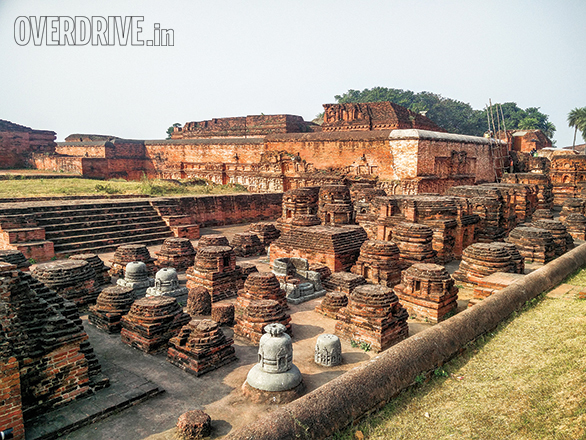 The remains of Nalanda stretch to 1,600 feet north to south and close to 800 feet from east to west. There are close to 11 monasteries and six major brick temples that were discovered during the excavation. There is a 30-metre wide passage that runs north to south with the row of temples positioned on the west and the monasteries on the east of it. Surprisingly, there is still a lot left that remains hidden underground. Locals say that the Indian government is not taking keen interest in carrying out further excavation which can reveal a lot more. It is believed that Aryabhata, at some point in his life, spent time in Kusumapura for advanced studies. Certain works in Hindu and Buddhist traditions refer to Kusumapura as Patliputra which is modern-day Patna. A verse in one of these works refer Aryabhata as the kulupa or the head of an institution. Since the university of Nalanda was in Pataliputra with an astronomical centre, it is strongly speculated that Aryabhata was the head of the Nalanda University. India's first satellite built by the Indian Space Research Organisation (ISRO) was named as Aryabhata in honour of his huge contribution to astronomy. The satellite was launched on April 19, 1975 from Kapustin Yar, Russia. In addition, there is also the Aryabhatta Research Institute of Observational Sciences (ARIES) near Nainital that conducts research in atmospheric science, astrophysics and astronomy. As the day came to an end concluding our exploration of Aryabhat's life in Taregana and Nalanda, it was time for us to sample some local delicacies like the most popular litti chokha. In the next edition, we shall find out some other distinctive bits of India.